New Newcastle signing Miguel Almiron has revealed why the chance to work with Rafa Benitez was too good to turn down. 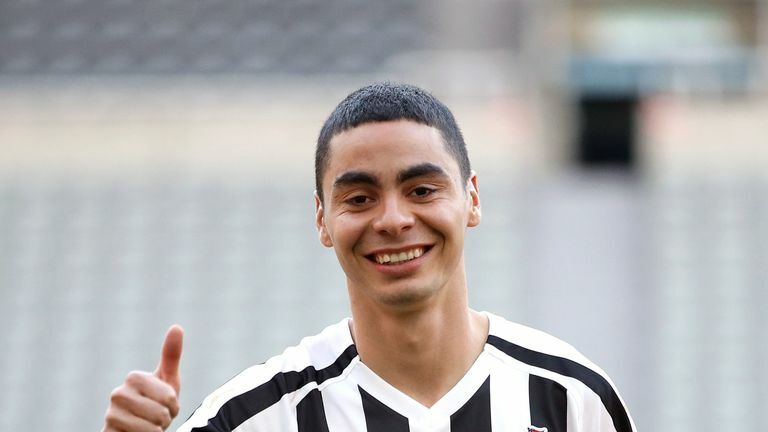 Almiron became Newcastle's record transfer last month when he joined on Transfer Deadline Day for £20m, despite reported interest from across Europe in the exciting 25-year-old. The lure of the Premier League was always tricky for the Atlanta United playmaker to turn down - but the influence of Benitez also had a significant part to play in the destination for his first move away from the Americas. He told Sky Sports: "I think that the interest from Newcastle was the firmest interest, and their position was the most concrete position I was aware of. As soon as you realise Rafa Benitez, with his career and experience, is interested in you, it's a decisive factor in that. "From the word go, he showed great interest in me. It was a big moment, not just for me but for my career as well, and I was really happy. Any player would feel the same when a manager like Rafa gets in touch with you and shows interest in you. It's a really positive move for my career. "So far in my career, all of these relationships have been professional coach-player relationships. Maybe I envisage the one I'll have with Rafa Benitez will be similar to the one with Tata Martino. "I think what I hope to gain from Rafa, the great manager that he is, is he can give a positive influence and confidence on my career. I think he gives players confidence to go out there and perform." It is now more than two months since Almiron first learned of Newcastle's interest in him. His potential debut for the club, which could come on Monday Night Football away to Wolves on Sky Sports Premier League from 7pm, has been a long time in the works. He missed last weekend's narrow defeat at Tottenham while his work permit was finalised, but with what he admits has been a testing 12 days since he joined now out of the way, he is itching to get started on Tyneside. He said: "It was towards the end of November, that's when I first found out about it. I was told about the interest from Newcastle. It was exciting but you try to take it lightly and put it out of your mind to stop yourself from getting anxious and driving yourself crazy about what might happen. If it comes off, fantastic; if it doesn't, just be patient. "They've been quite tough, the last few days. It's been very busy, getting a lot of things done visa-wise, and all I wanted to get started doing was training. Now I've managed to do that and everything's settling down a little bit."